Fantasy Baseball leagues now open! PLAYOFF PAYOUT WINNERS - You must complete an address verification form for each league won by February 11th to receive your payout. You will find access to this form on your league homepage for live draft leagues. Pick Your Weekly Studs leagues can locate this form using the "League Winners" link. You may also use these funds and receive a 5% bonus on these funds to join baseball leagues and for next fantasy football season. Playoff checks are expected to arrive between February 20 - 27. 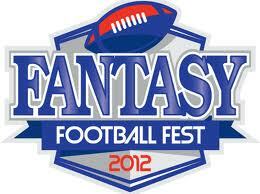 Providing our members with the largest variety of fantasy football league options for 14 years!